I have two copies of Sally Mavor's Wee Folk book. We won't talk about why (as I hang my head in disorganized shame). I follow Sally Mavor's Wee Folk Facebook page, and she shared a link to this wonderful film called Rabbitat. If you like seeing into artist's creative processes and work areas, you will love this. 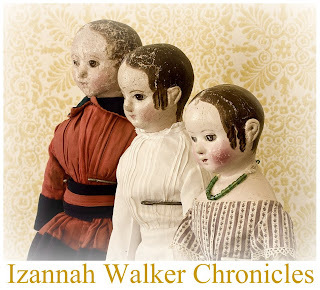 Last year when I purchased my Izannah Walker doll she came in a lot of three dolls. 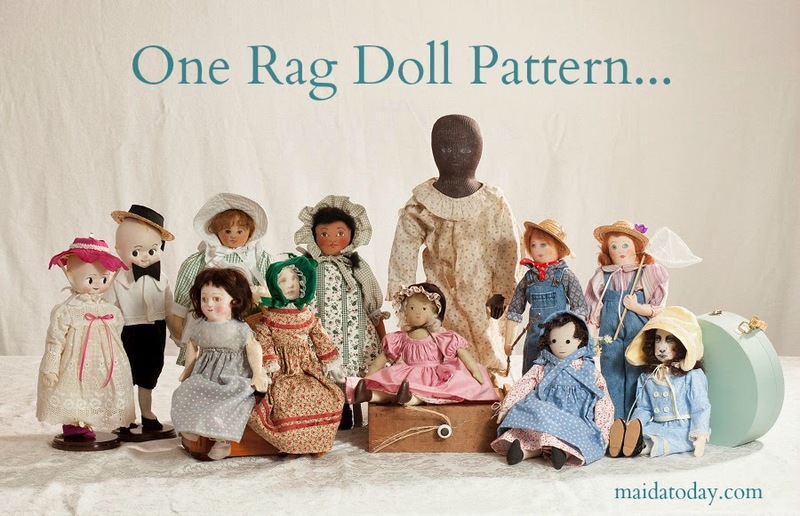 All of the dolls were in tough shape, and all are of a similar era. The Ebay seller had purchased them at a local auction as a lot, and was selling them as a lot. I'm now selling the French Fashion doll on Ebay. 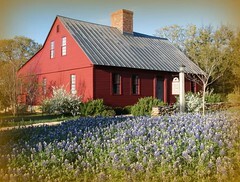 Visit the auction. Also, many additional photos of this doll are posted in this French Fashion Doll Album.